"What The Hack!" Aeternity African Hackathon. Do You Have an idea? have you been thinking of scaling up you Idea? 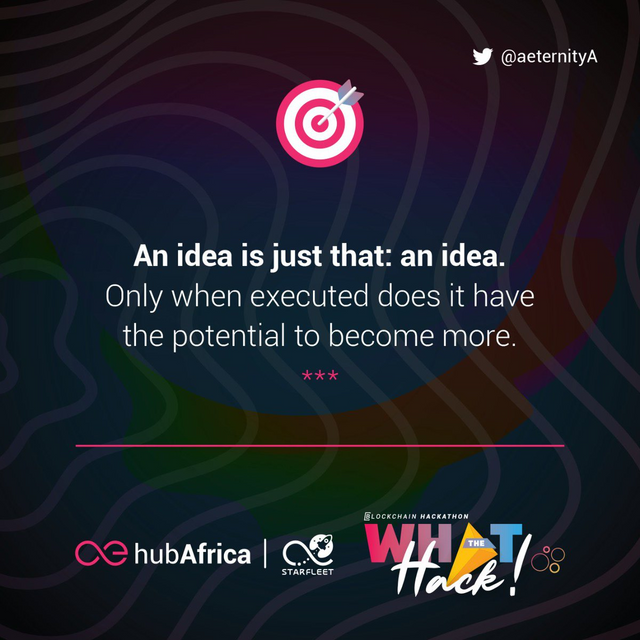 AeternityhubAfrica hackathon is going on, you have a chance to learn , develop and expand your idea to a visible business. Aeternity has done it before with Ridesafe and Utu house, you can be next. What The Hack Aeternity hackathon is here to help you scale up. Hackathons are one way any new startup organisation can gain startup know how or startup funding by participating in them. Participating in Hackathons helps you to have a better understanding of your business idea. You will be subjected to lots of challenges that help you to rethink the whole think over and over again. At the end you will develop a passion for what you are doing. Before i get started I would love to thank the AeternityhubAfrica team and the Aeternity team for presenting us with an amazing opportunity to learn and grow. Thank You guys. "What The Hack" has been short, yes short, since I had so much to learn from it, you know, whenever you have a busy day time flies. During this period i was able to meet great brilliant minds that have helped my team and I to learn on the essence of value proposition for any business. I gotta say we had to re-evaluate our business model,with the help of some of the daily quests and feedback we got from our customers and the aeternity hackathon team. It is not about the idea, profit or the solution, its mostly about the customers beliefs and notions. What The Hack provided us with a series of great learning tools that were super easy to digest.I cannot say I have gone through them all but I would definitely love to keep on reading to learn more.Learning never stops right? You have to develop passion for what you are working on, this way you will be able to attract similar minded team members and customers who you share the same core believe. What you are selling to the world is your belief , so you do it not to make a profit but to make a difference. Focus on your passion, focus on the believe. The Hackathon ends on the 9ths of February, you still have a chance to scale your Idea. Join Aeternityhubafrica on telegram https://t.me/aeternityafrica and get started. Seriously dont miss out. Making this short, I loved participating on What The Hack Aeternity hackathon. It was one hell of a learning curve for my team and I. 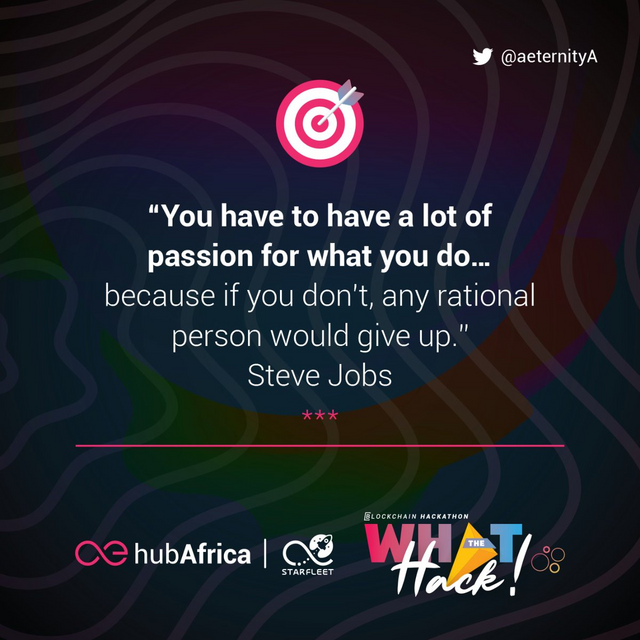 To all those who have participated in the what the hack hackathon My team and I behind Uwazy Foundation wish you nothing but the Best of luck. 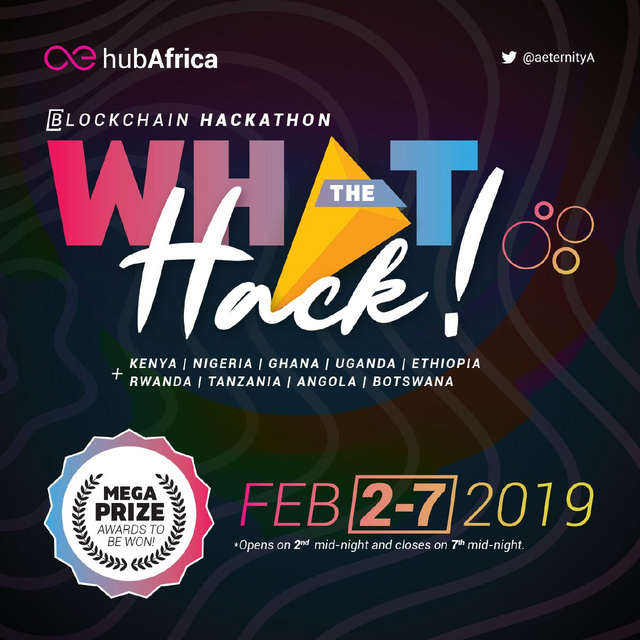 See you on Coming Saturday at the What The Hack Awarding Ceremony. Congratulations @brianadams! 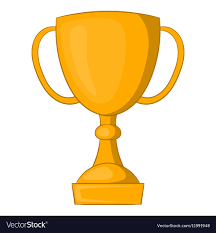 You received a personal award!